•	Anti-Aliasing: Well, this is one of the things of a game that impact most on the FPS. Therefore, you need to turn it down to the minimum to get some FPS. This is because the Anti-Aliasing affects how jagged the textures appear on the screen. If you set it to high or above it, it will make everything look smoother in general. 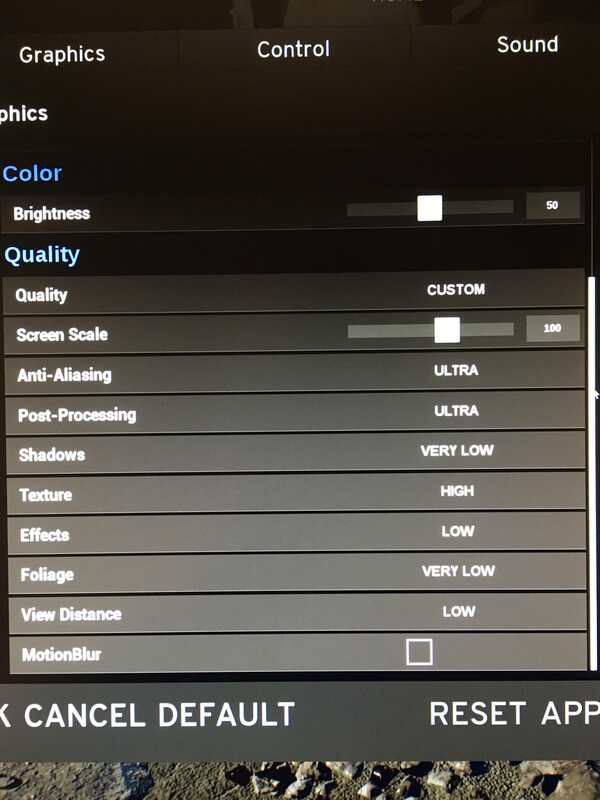 So if you want to get a few FPS, you might want to set it to a minimum or at least to medium. •	Screen Scale: If you have a very low-end PC, you should need to turn the Screen Scale to at least 90. •	Post Processing: This one adds a little bit more graphics to the buildings and plants. If you care about the performance over the details, you should set it to very low. •	Shadows: The purpose of this one is obvious, it will show shadows and make them more realistic depending on the settings you set. But, it drains your graphics card which means less FPS. So you can turn it down as much as you can. •	View Distance: You should set it to very low. Now you might wonder why setting it to low should matter. Well even if you set it to very high, it will not give you any significant advantage. So why not set to the lowest, it may help you with the performance. •	Texture: This one makes your game graphics look excellent or awful depending upon where you set it. 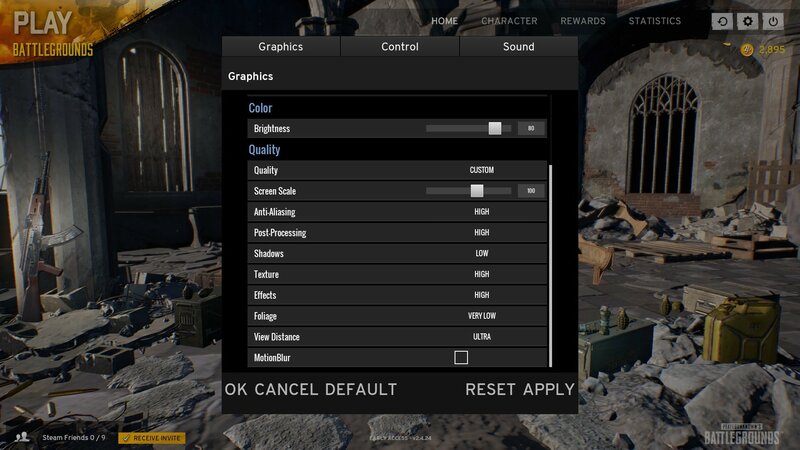 If your PC is an average then you should set it to medium so you may get some FPS and the game doesn’t look horrible. 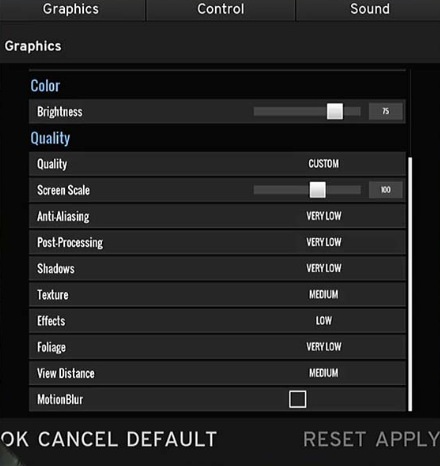 •	Effects: If you have a GPU that cannot handle the game very well, then you should set the effects too low. 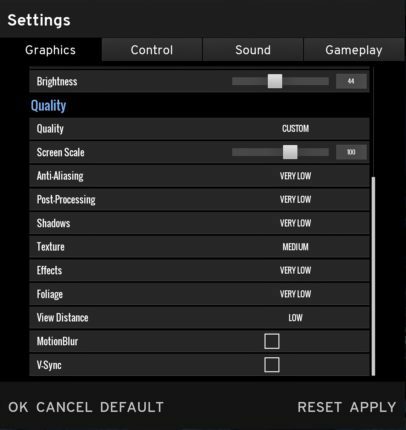 If you do that, it will drop the quality f the game but will give you a decent amount of FPS so the performance will increase. •	Foliage: The Foliage settings of the game depends on the power of your PC. This is because this option will affect how many shrubs, grass and trees and similar things are rendered in the game. If you turn it to all the way to high, you will see a higher density, but if you turn it to medium to low, you will get less density but increased FPS. •	V-Sync: If you turn it on, it will match the frame rate of the game to the refresh rate of the monitor, so the less appealing screen tearing is reduced. 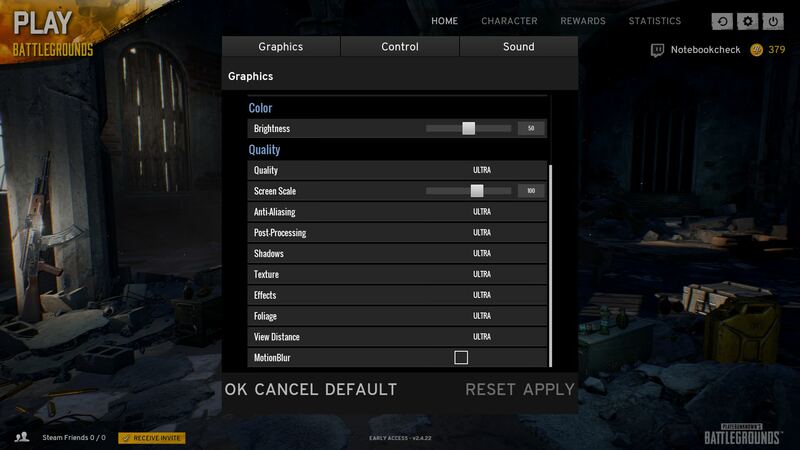 But, in an attempt at doing this, it will reduce your FPS as well so it is a good idea to turn it off to save some FPS. •	Motion Blur: Its function is to make your actions a bit more cinematic and things a bit prettier but it tanks the performance pretty hard. So it is better to turn it off. It should be noted that you should not exactly follow the steps mentioned above. Every PC has a different performance rate due to different hardware. So with the information above, you can experiment with different settings and see the one that works best for you.